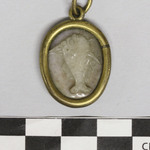 Sommerville: Chalceony - an amulet or talisman cameo. 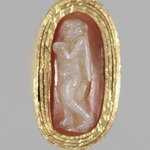 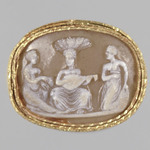 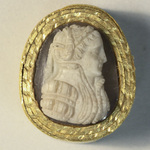 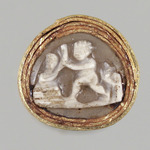 Greek and Roman Cameos, Case H. Vermeule: Chalcedony. 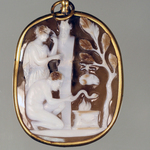 Cameo (gilt amulet setting with loop) this appears to be glass mounted on chalcedony. 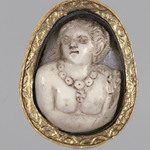 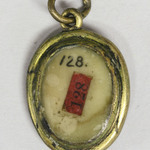 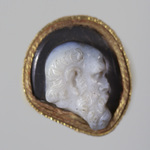 "an Amulet or Talisman cameo (amuleto della Fecundita e Propagazione). 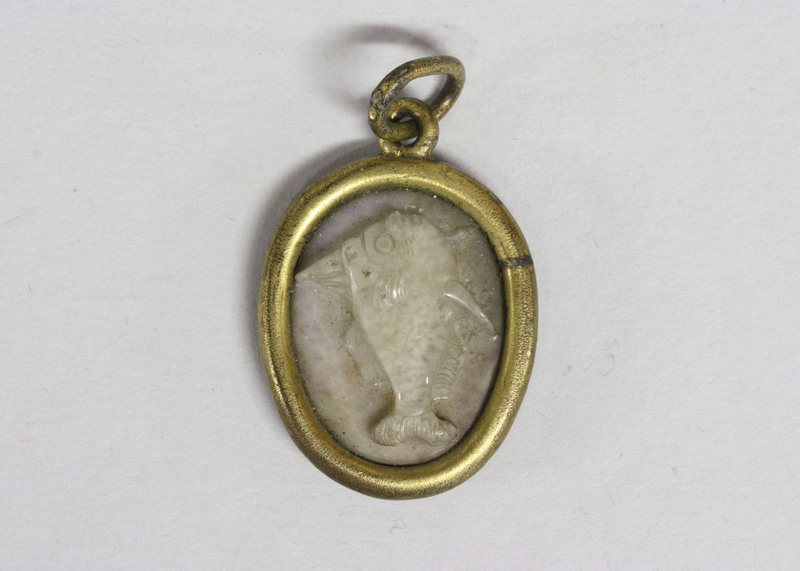 The symbol used is an "aringa", a fish that in Italy deposits from thirty to forty thousand eggs annually. 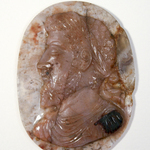 "aringa" is a herring according to an Italian dictionary.